A rub created specifically for pork, chicken and turkey. Lightly coat meat and let stand at least 1 hour or longer, overnight is best for the herbs and spices flavor to naturally tenderize the meat. 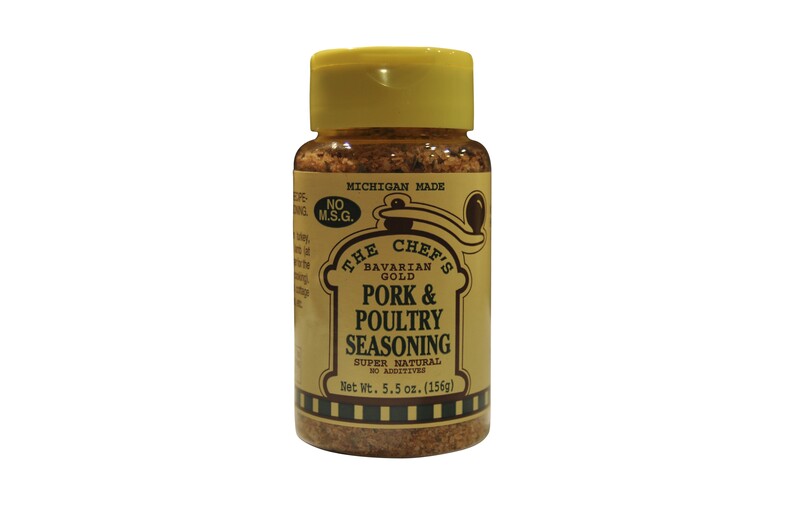 This rub was created with a special blend of spices, herbs and kosher salt for pork, turkey and chicken. It is best when meat is rubbed with seasoning and placed in refrigerator for at least 1 hour, preferably overnight. The unique blend naturally flavors and tenderizes the meat. Turkey, sprinkle in the cavity and rub on the outside of the turkey and refrigerate. You can rub the outside while it is thawing. You can put rub on before you freeze your meat so that it marinades as it thaws!! This product is also great on cottage cheese, fried potatoes ,fish and other foods.